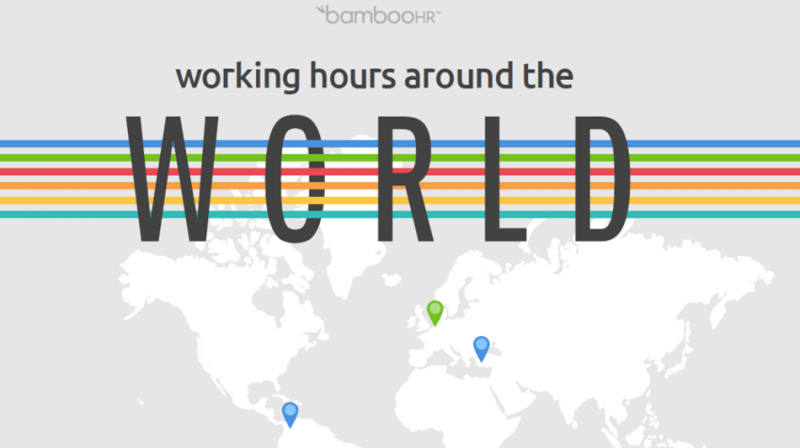 Although the United States gets a bad rap for having employees work the most hours of any industrialized nation, a new infographic from BambooHR says otherwise. According to the “Working Hours around the World” infographic, the US is averaging 34 hours per week, which is on the low-end side compared to many other countries. On the high-end of the scale, Colombia and Turkey have the top spots at 48 hours each. Small business owners who work too many hours would probably be happy with the numbers from Colombia and Turkey. 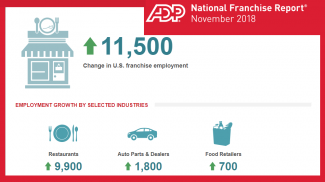 Fifty plus hours are not uncommon as owners try to grow their business and build a company which will support them, their family and employees. According to the 2017 Pulse Survey report from The Alternative Board, 84% of business owners are working over 40 hours per week. And on average, owners only have 1.5 hours of uninterrupted, high productive time each day. BambooHR got the data for the report from the Organisation for Economic Co-operation and Development (OECD). The OECD has been compiling the average weekly working hours for workers in 35 countries around the world since 2000. The interactive graph, which you can access here, allows you to see the working trend for these countries for the past 18 years. Not surprising the lowest average weekly hours comes from a European country. With a total of 29 hours, the Netherlands has the shortest average work week. Denmark is next with 32 hours, followed by the US, Germany, and Switzerland taking the number three spot with 34 hours of average work week. As a region, Europe has the most countries with the lowest working hours at 15. If you take the US out of the equation, the Americas have the highest average with Colombia (48), Mexico (45), Costa Rica (45), and Chile (43). In addition to Turkey, only two other countries in the European continent, Hungary and Poland have 40-hour averages. When it comes to gender, women worked fewer hours across the board. But the women in the countries where the average was high, they ended up working more than all the men in Europe and the US. Women in Turkey and Colombia, for example, worked 45-hour weeks, while men in the US averaged 41 hours and 34 hours in the Netherlands. The key, as The Alternative Board survey points out, is to spend the time more efficiently working on the business instead of in the business. When you first establish your company, you have to work in the business, but as you begin to grow you have to delegate tasks so you can start working on your business. In this way, the time you spend will be geared to growing your company instead of the day-to-day task which can be carried out by your employees. Understanding the concept of working in and on your business early during your entrepreneurial journey is critically important for using the time you spend building your company more efficiently. You can look at the rest of the working hours data on the infographic below. How will this affect your working hours? If you will not adjust it to the world, then it doesn’t mean anything.